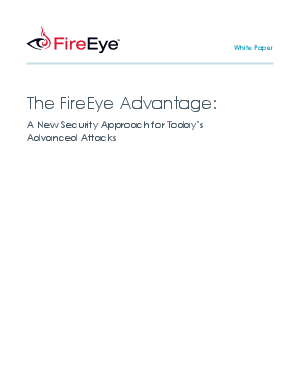 Organizations face a new breed of cyber attacks that easily thwart traditional defenses. These advanced attacks are targeted. They are persistent. And they are devastatingly effective at breaching your systems and stealing your sensitive data. An architecture built from the ground up to truly protect against today's advanced attacks.